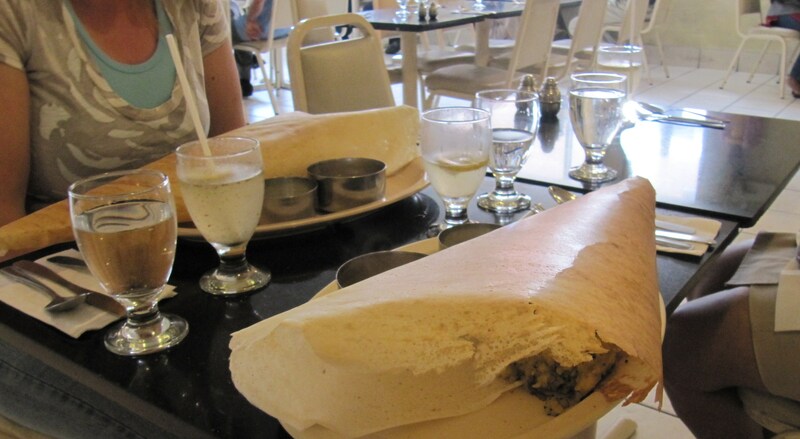 As you can see from the photo above, to get inside the paper dosa, you have to dig deep…you have to eat a lot of crunchy pancake material and dip it into the coconut sauce before you get to the slap chunk. It’s work, man, no joke. The thing is almost the size of the body of my Miele vacuum and yet, despite its volume, I could definitely eat more than one. 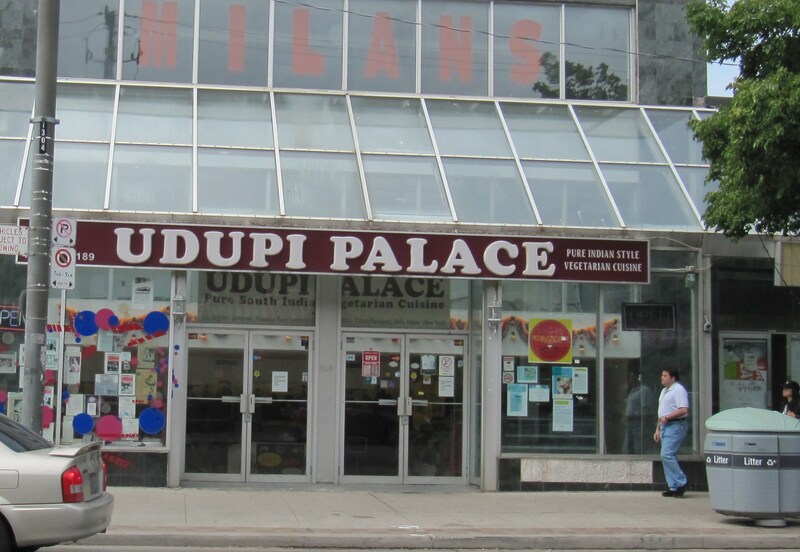 In fact, there is a dosa eating contest every year for Sick Kids Hospital, click here for the details. I am thinking of entering it, I am woman, here me roar and watch me chew!